This album was recorded in 1958. Later Cannonball Adderley played with the Miles Davis sextet and a year later would work with him on his Kind of Blue album. Here Davis is backing Adderley up but the influence comes through, and includes Davis composing “Somethin’ Else”. Davis and Adderley have a wonderful conversation between their trumpet and sax on tracks like “Autumn Leaves” or “Somethin’ Else” backed up by the drumming of Art Blakey and the rest of the rhythm section. This album has some great moments of interplay between the front sax and trumpet and the piano. The entire album has a mood of introspection about it and goes perfectly with a cup of coffee in the morning, or by itself late at night. The reissue has an extra track, “Bangoon” at the end. Such were the sights and apprehensions that kept alive in our townspeople their feeling of exile and separation. In this connection the narrator is well aware how regrettable is his inability to record at this point something of a really spectacular order-some heroic feat or memorable deed like those that thrill us in the chronicles of the past. The truth is that nothing is less sensational than pestilence, and by reason of their very duration great misfortunes are monotonous. In the memories of those who lived through them, the grim days of plague do not stand out like vivid flames, ravenous and inextinguishable, beaconing a troubled sky, but rather like the slow, deliberate progress of some monstrous thing crushing all upon its path. 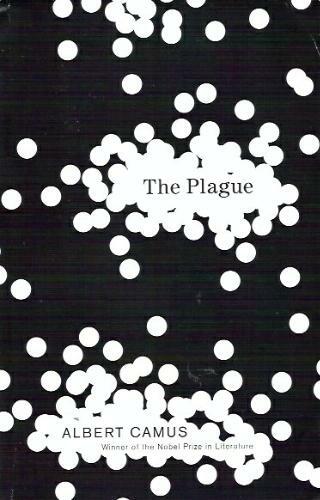 No, the real plague had nothing on common with the grandiose imaginings that had haunted Rieux’s mind at its outbreak. It was, above all, a shrewd, unflagging adversary; a skilled organizer, doing his work thoroughly well. That, it may be said in passing, is why, so as not to play false to the facts, and, still more, so as not to false to himself, the narrator has aimed at objectivity. He has made hardly any changes for the sake of artistic effect, except those elementary adjustments needed to present this narrative in a more or less coherent form. And in deference to this scruple he is constrained to admit that, though the chief source of distress, the deepest as well as the most widespread, was separation – and it is his duty to say more about it as it existed in the later stages of the plague-it cannot be denied that even this distress was coming to lose some of its poignancy. The cello is the most beautiful of instruments. This album isn’t new. It came out in 2005, but I started listening to it recently. 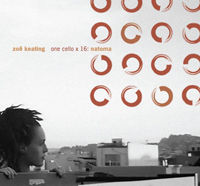 Zoe Keating is a Bay Area musician that layers multiple tracks of herself playing the cello in real-time. She uses her feet to control the computer that mixes the recordings. The result is an illusion of an entire room of full of musicians. The composition of the music itself is suspenseful and engaging. Many people don’t consider this to be a worthy Graham Greene novel, but I think that they miss the point of it. It was written to be one of his “entertainments”. Written to be entertaining, it fulfills that purpose. What I enjoyed the most about this novel is the way that the story abruptly picks up and leaves off the stories of certain characters. Very much as happens when you meet someone on a long journey and they come into your life suddenly and leave just as suddenly as you reach your destination. I’ve been pretty into Deerhunter’s Microcastle album, as this album definitely needs a few listens. Well, there are two albums. The second one is called Weird Era Continued, and from what I’ve read they’ve been leaked onto the internet several months ago. It’s gotten some pretty good reviews, and a number of people had them listed in their top albums of 2008. The lead singer Bradford Cox apparently also records solo work under the name Atlas Sound. The band kicked off Noise Pop in SF about a month and a half ago, and it would have been good to have seen them. The sound on this album is something of a cross between Pavement inspired pop rock on “Agoraphobia” at the opening of the album and more of experimental guitar noise derived from My Bloody Valentine on “Little Kids” and “Microcastle”. “Nothing Ever Happened” is just a fantastic pop song. Overall, the sound is great, plus add in a touch of bleak overtones and lyrics across the entire album and you get a darker sound that range from the slower sleepy songs interleaved with songs flooded by a wave of guitar chords that come crashing down on you in a muffled haze.